Whether you only need to a clear out a few closets for the season or you’re moving across town, a self-storage unit can help immensely. Clean Before Storing: Items like clothing, furniture, and appliances should be cleaned and thoroughly dried before being stored away; not only does this make it easier on you when you're moving things out, but it’ll keep insects and pests away. Any appliances should be left ajar to prevent moisture from building up. Pack Protectively: Plastic containers are great for clothes, but they need to be completely dry; plastic can trap moisture and you don’t want mold growing on that precious wool coat! For small, fragile items like lamps and vases, invest in bubble wrap. If you're planning to store furniture, consider disassembling the pieces; parts like screws, bolts, and handles can be placed in a plastic bag and taped to the piece of furniture. Label Everything Clearly: Be as specific as possible when labeling your boxes. For example, instead of just writing “clothes,” write “winter coats, sweaters, and pants.” To go even further, take inventory and make a copy of it; one list goes inside the container itself and the other is for your reference. When you’re finally ready to move your belongings into the storage unit, you’ll want to make the most of the space. If possible, put a wooden pallet underneath your boxes to promote airflow and protect them from any water or moisture from the floor. Place any appliances or large furniture farther in the back of the unit. 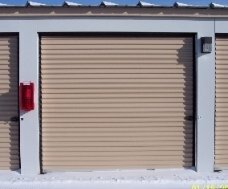 Whatever you're planning to store, East “O” Street Self Storage is the facility to choose. With six different sizes of self-storage units to choose from, a state-of-the-art alarm system, and 24/7 security monitoring, you can trust that your valuables will be safe. For more information, you can visit their website or call them at (402) 489-0134.